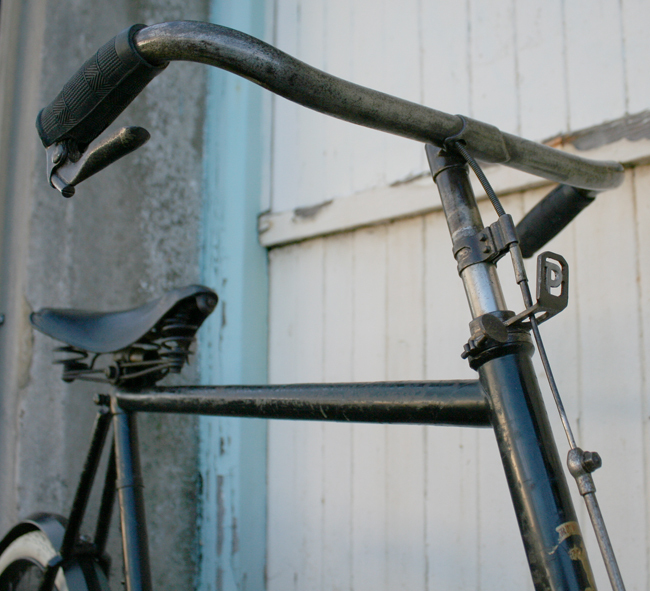 You can clearly see the diagonal design of Premier’s unique helical tubing on this bicycle. 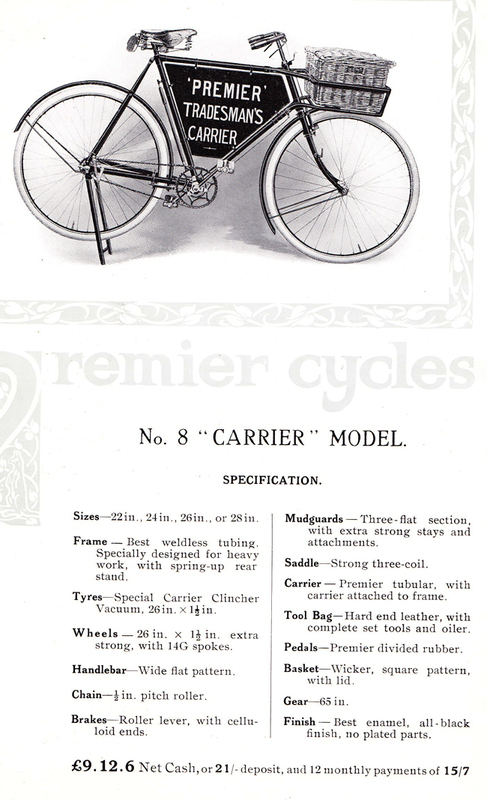 The history of Premier is an essential part of the history of modern cycling. 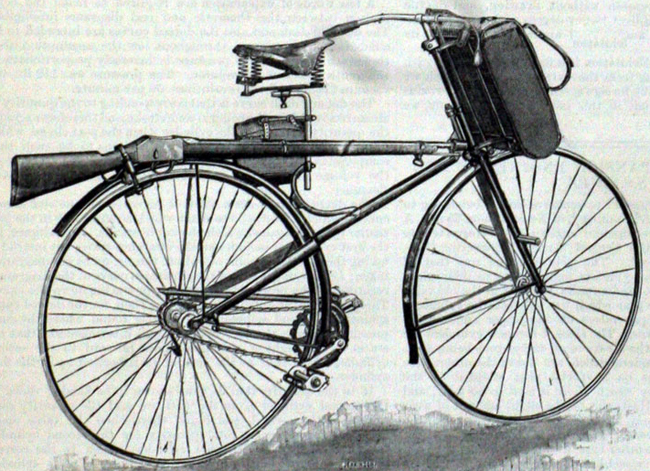 Hillman, Herbert & Cooper’s Kangaroo ‘ordinary’ made its debut in 1884 and, for two years, this was the world’s leading bicycle design. 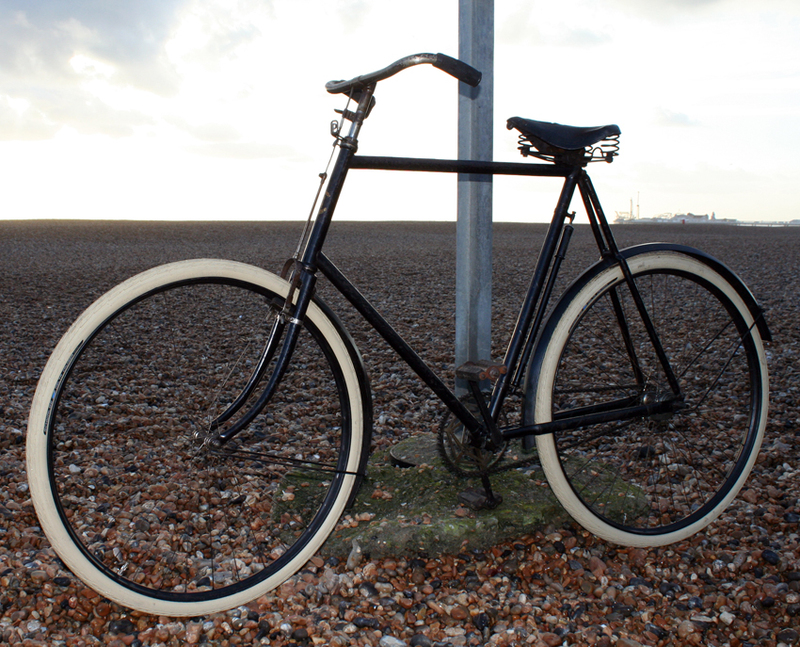 They set a new standard, patented in 1886, with another design, a ‘cross-frame’ safety bicycle named the Premier. 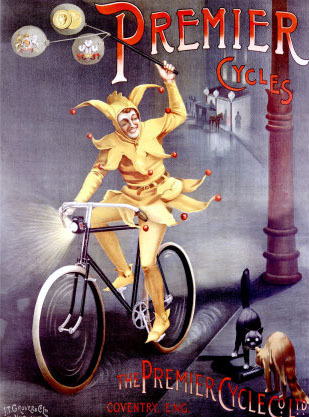 As this new safety bicycle became the world standard, copied by every other company, the Premier name was subsequently adopted for the company. 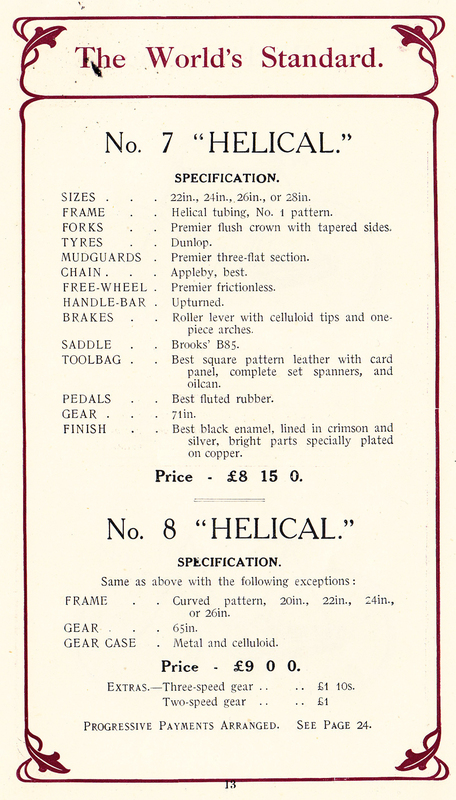 As you can see below, they retained the Kangaroo logo for Premier badges and transfers. 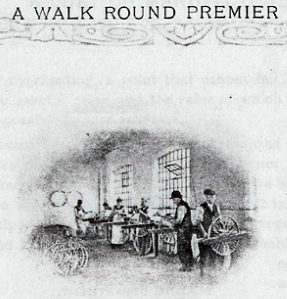 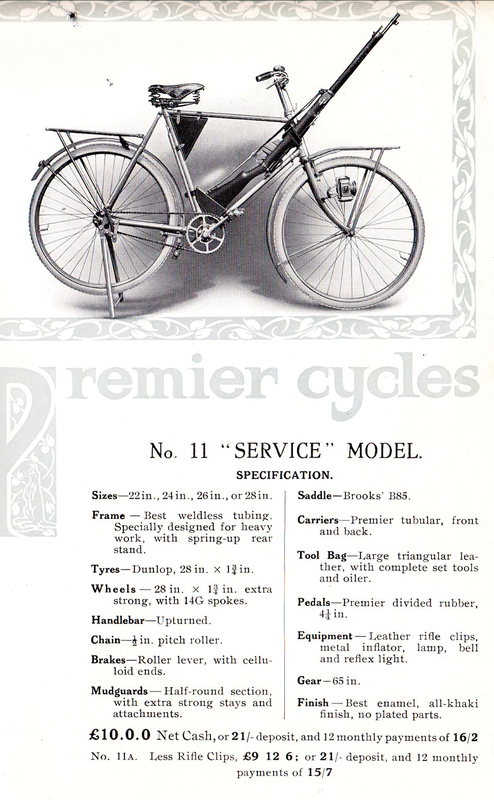 According to their 1907 catalogue, Premier introduced roller lever brakes for the 1906 season. 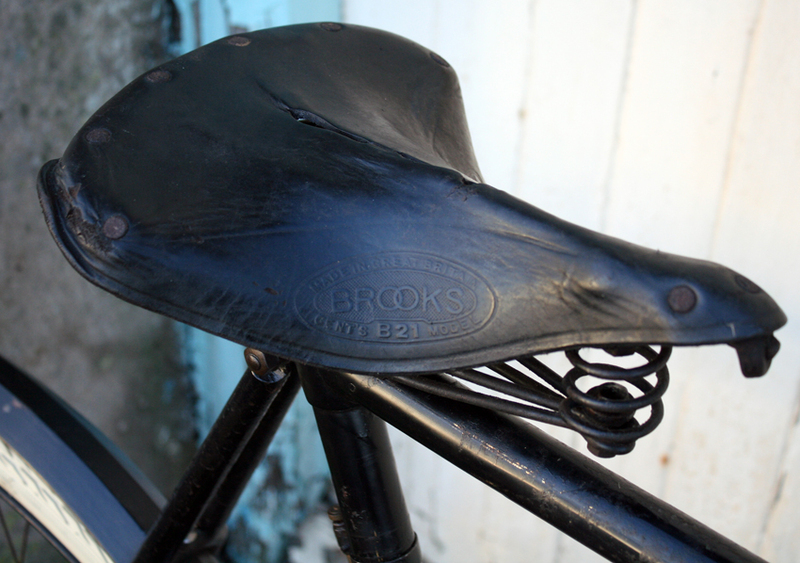 This model was one of the last inverted lever models. 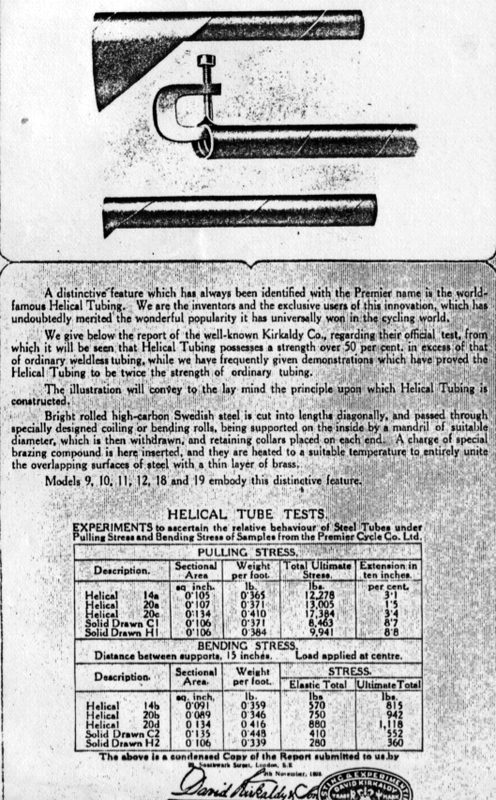 The Helical Premier was the company’s top-of-the-range model, and this example retains its original paintwork and transfers (decals). 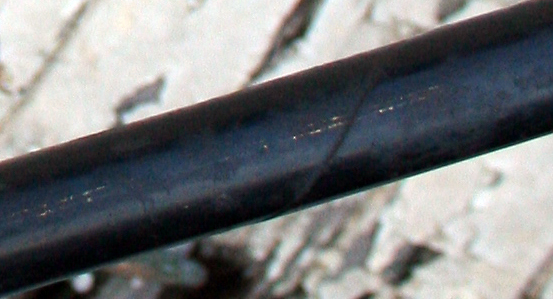 The diagonal pattern of its helical tubing can be clearly seen in its main tubing. 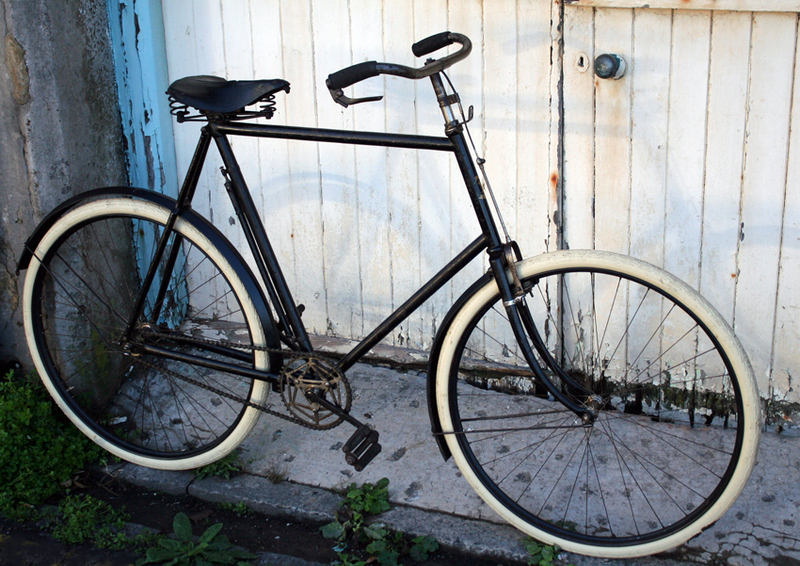 In 1907, Cycling magazine retained the services of a messenger boy, using a Premier fitted with an advertising board. 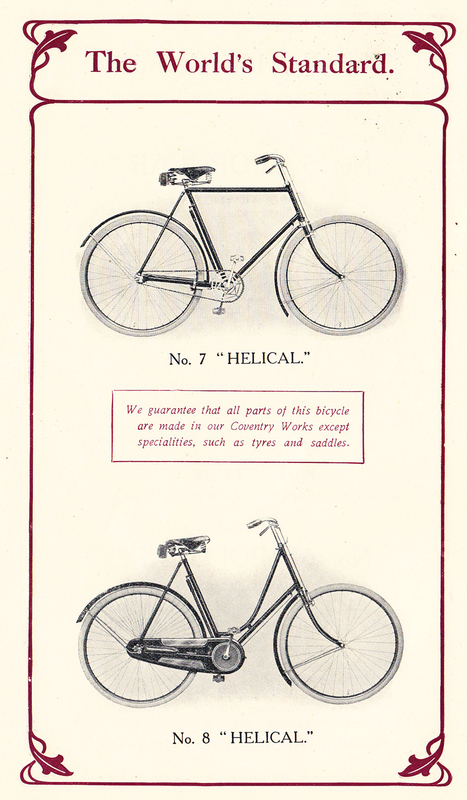 The excerpt below illustrates the Premier front brake introduced in 1907. 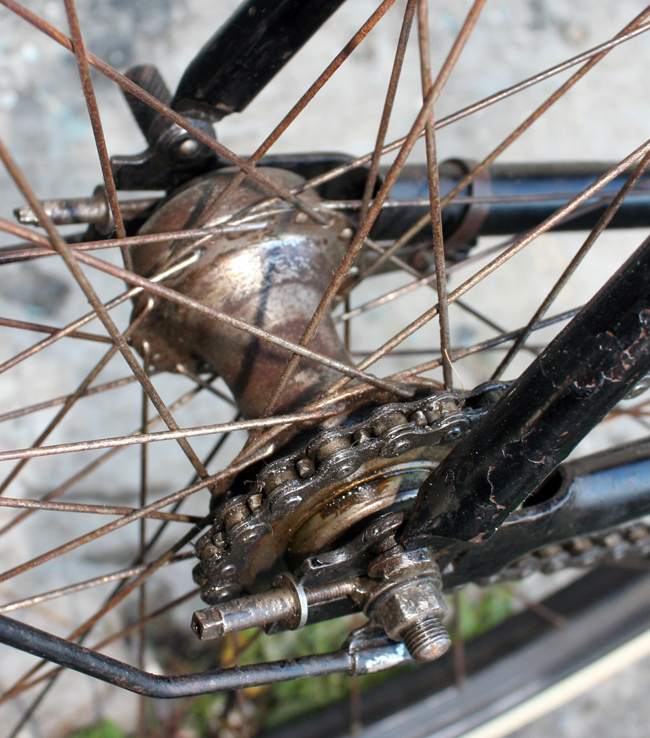 The chain wheel of the bicycle shown in this picture reveals it to be a Premier. 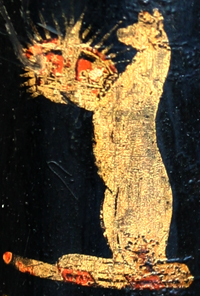 This photo of the 25th City of London Regiment was taken in 1911, at Rye Camp.